The gingerbread hearts 12 cm are creative promotional products in a small format. Ideal for trade fairs, events or a corporate events. Your company logo can be placed on the heart, sugar decoration and text can be added as desired. Define border style, border color and font color to give your heart the finishing touch. 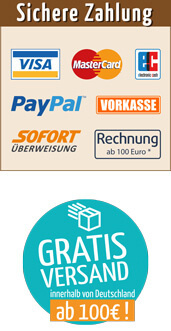 All orders above 100, - € are shipped free within Germany. Promotional Gingerbread hearts optional with logo, 12cm, customization: Border style, border color and font color (all color codes can be found here) selectable, a maximum of three decorative elements, lettering with up to 20 characters, optional logo printed on edible sugar paper (40mm max x 20mm).